Where you can watch the Nintendo Nindie Showcase and what sort of announcements you can expect. A brand new Nintendo Nindie Showcase has been announced and is scheduled to go live on March 20, 2019 at 9 a.m. (PST), 12 p.m. (EST), 4 p.m. (GMT), and 5 p.m. (CET). The Showcase will be livestreamed, giving gamers around the globe a chance to catch up on the latest indie games coming to Nintendo Switch. Want to know more? We’ve got you covered! Below, you’ll find a brief overview explaining how to watch the Nintendo Nindie Showcase! 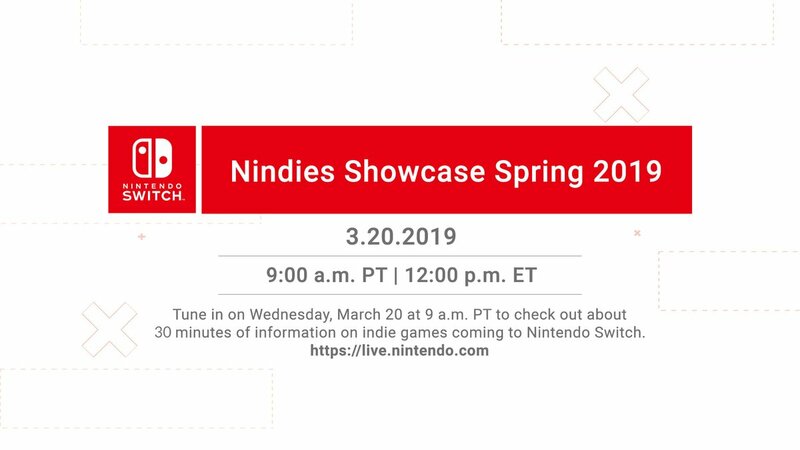 To watch the Nintendo Nindie Showcase, you’ll need to mark March 20, 2019 down on your calendar. Along with the date itself, we also know that the Showcase will be livestreamed and can be viewed by visiting live.nintendo.com. For livestream times, note that the Showcase is scheduled to begin at 9 a.m. (PST), 12 p.m. (EST), 4 p.m. (GMT), and 5 p.m. (CET). According to Nintendo, the Nindie Showcase will run for approximately 30 minutes and will include information on indie titles coming to Nintendo Switch. Among these indies, we’re expecting to hear more about games like Sayonara Wild Hearts. Of course, we also anticipate a surprise or two thrown in for good measure. To find out more about the indie games coming to Nintendo Switch this year, be sure to tune into the Nindie Showcase on Wednesday, March 20! After hearing the news that a Nindie Showcase is set to go live this week, what are your thoughts? Are there any indie games you’re hoping make an appearance in the livestream, or are you more interested in learning more mainstream titles like Pokémon Sword and Shield? Let us know down in the comments below!